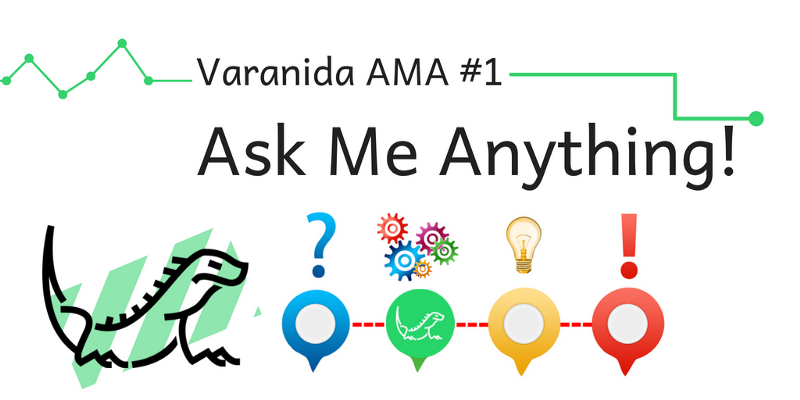 Two weeks ago, the Varanida team held its first Ask Me Anything session, where we answered questions from the community. For those unable to attend, we wanted to provide a summary of the main topics that were covered. If you have any other question, please contact us directly at [email protected] or through social networks. Are users earning both VADm and VADu tokens? There is a stacking mechanism explained in our post about Varanida’s Dual Token Economy. Which level of personal information do you want to enable for targeting? Users are always free to change levels whenever they want, so they control in real-time how they are exposed to ads, and how much of their data is used (or not). 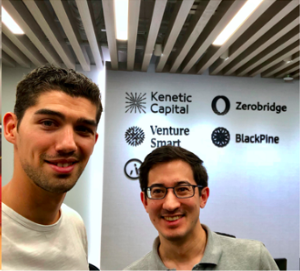 What’s important to remember is that we are developing the Verified Ad Protocol to let users retake ownership of their data, so only they can decide if they want to share that data or not, and would be rewarded each time they do so. When will the mobile version of Varanida be launched? It’s something the team is currently discussing. In its current prototype phase, there won’t be a mobile version, however it’s something on the roadmap for the live product. Do you see Varanida working with any major companies to incorporate the software on their work computers? While it’s not our main focus at this time, it’s an interesting idea that is worth exploring in the future. Other than advertising, what are the benefits of VAD to the user ? With VAD tokens, users will be able to access premium content such as articles, videos, music, movies, etc. Also VAD can be used as a way to receive cash-back or discounts at e-commerce sites. We are working to provide additional alternatives to ads, and will discuss this more in the future. “Access Content” seems pointless: If VAD is exchanged, it has a cash value. What would be the point of paying cash for the same thing other services probably offer with better streaming speeds? That’s why we have designed a dual-token system that uses both VADm & VADu. VADu is a stable token, and its only purpose is to support transactions in the Verified Ad Network. It has nothing to do with streaming speed; it’s a way for users to get access to content they like with rewards they got for their data or exposure to ads. When you sell this data the users collect, will you only be accepting payments in these tokens to keep the value strong, or will there be multiple payment options? We won’t be “selling” user data, but users will be able to sell their data directly to publishers and advertisers, as they’ll own their data. When they sell their data, it is true that users will be only able to get rewarded in VAD. However, publishers and advertisers from the network will be able to use VAD for their campaigns, but they can also enter the network by buying VAD with FIAT. When you leave the test phase, will you be able to convert VAD into bitcoins and spend them as you want? Our Token Generation Event will happen at the end of September. Afterward, current virtual balances will be converted into VAD ERC-20 tokens, that you will own and be free to use in the Varanida Network, send to another wallet, convert into other formats, etc. Since crypto markets tend to be manipulated, what prevents a big token holder from creating/destroying massive amounts of VADu (utility token) to manipulate its price? The token that will be subject to speculation will be the “master” token (VADm), the one coming from the ICO, and used as collateral for creating the “utility” token (VADu). This VADm could be pumped and dumped, but we have incentives in place to reduce velocity and incentivize holding, which leaves less going around to manipulate the market. The utility token is created by collateralizing VADm, and a system based on oracles is there to ensure that VADu creation/destruction leads to a stable price for VADu. So if someone creates/destroys too much VADu at once, they will be penalized. If the resulting price movement is little, they will get less fees on VADu transactions, and if the price movement is big, their collateral will be partially taken by the network as an emergency mechanism. This makes creating/destroying VADu pointless since you will lose collateral, and all the other VADu creators will have incentive to do the exact opposite to stabilize the price. After the Airdrop, there will be no rewards, so why would people choose Varanida compared to other ad blockers? Once the Airdrop has ended (and the TGE has happened), users will be rewarded by advertisers and publishers when they are exposed to ads, or decide to share (in encrypted ways) their personal data. Varanida is more of an “Ad Controller” than an “Ad Blocker”. 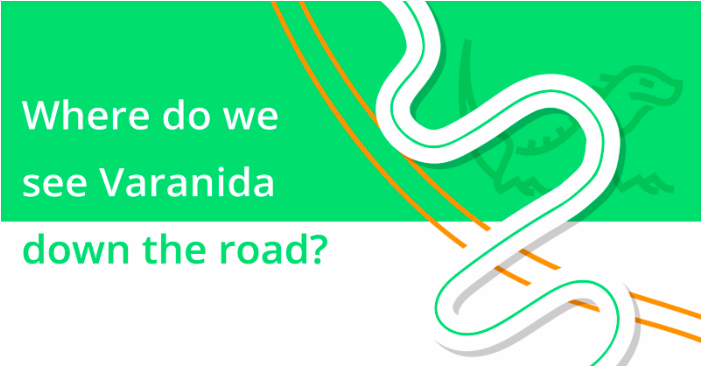 Varanida gives users the choice to see advertising or not, and if they decide to see advertising they can be rewarded for it; same with their personal data. Also, it’s important to mention that most of the ad blockers on the market are not transparent, and are either re-selling user data, or whitelisting advertisers when they are paid to do so. If there is no incentive for continued use, and the tokens are all held by investors and adaptors, what will you change to move forward? This is why we have designed a dual-token model. (You can read more about the details here: Varanida’s Dual Token Economy.) It’s important for Varanida Network velocity to incentivize the usage of the VADu token to users, but also to make people interested in stacking VADm. This is a centralized service, and all the tokens are going to be going between the team and those buying this data. You will control the prices, deciding if it goes up or down. 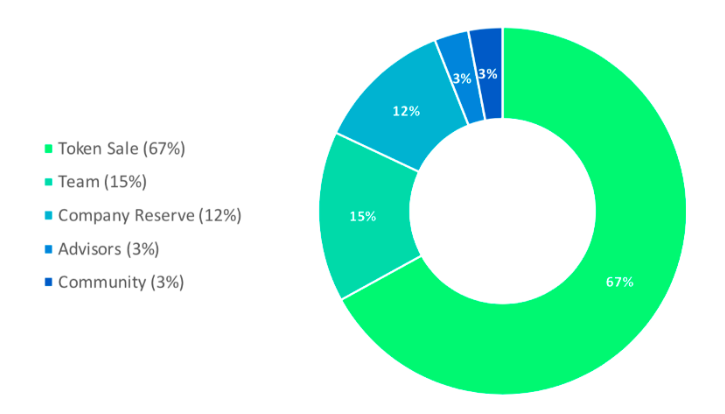 So why should investors invest in your plan to burn tokens, rewarding holders with a share? The site said holders will get “rewards” but when I read it, it just seemed like special features with the software or something. Varanida is decentralized by design. The prototype is a hybrid model because of its pre-TGE status. However, after the Token Sale, prices will be established by the market, and the same goes for the data that will be transparently bought or sold on the marketplace. We have designed different mechanisms to incentivize both users and holders of VAD tokens, and we have described that process in our WhitePaper. We are also looking for the community to share their ideas on how they would like to be incentivized. Will the tokens earned during the beta period be wiped, or given to users in an Airdrop? Tokens earned during the airdrop phase will be distributed after the Token Generation Event and KYC phase, in early October. What if you do not reach the soft cap? All participants will be reimbursed, as outlined in our Terms & Conditions. Please explain how to save the earned bonuses, and change the wallet address to a unique one. When creating your wallet, you should have received a password and a private key. If you don’t know your password and private key, we encourage you to set up a new wallet, otherwise your balance won’t be accessible. The wallet you create with the Varanida Extension is unique, and can be used to save your earned bonuses. How do I access my wallet and get my VAD tokens? You will be able to access your VAD after the TGE. Since VAD is an ERC-20 token, you will be able to transfer them to any wallet you own. Right now your balance is virtual. If you have unanswered or more specific questions, please see our FAQ, or email us at: [email protected]. Stay tuned for the next Ask Me Anything session!